Super Smash Bros is back with Ultimate. It’s the first in the series to be on Nintendo Switch, and boy is it bringing the big guns. There are 74 playable characters at launch, with even more set to be added later down the line. To make sure you’re up to date with the new fighters, and with the changes that have been made to the returning ones, we’ve been busy building character guides for each one. In this Super Smash Bros Ultimate Villager Guide, we’ll be taking a look at the Villager fighter. We’ll list any changes that have been made since their last appearance and detail their Final Smash and Alternate Costumes. One of the more innocent looking characters in Super Smash Bros. Ultimate is Villager, although he can still beat you death with a net. In the table below, you can find a complete list of all the moves that Villager can use. 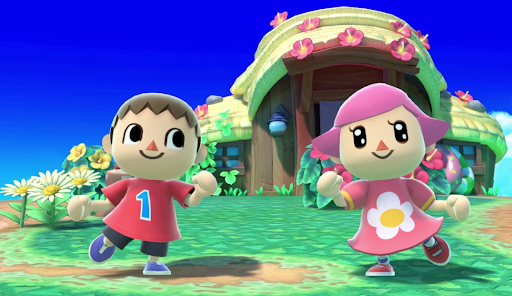 Several of Villager’s animations have been changed including victory, jumpsquat, dash, Forward Smash, and Grab. Grab can now pocket items. There are new alternate Villager’s to play as. 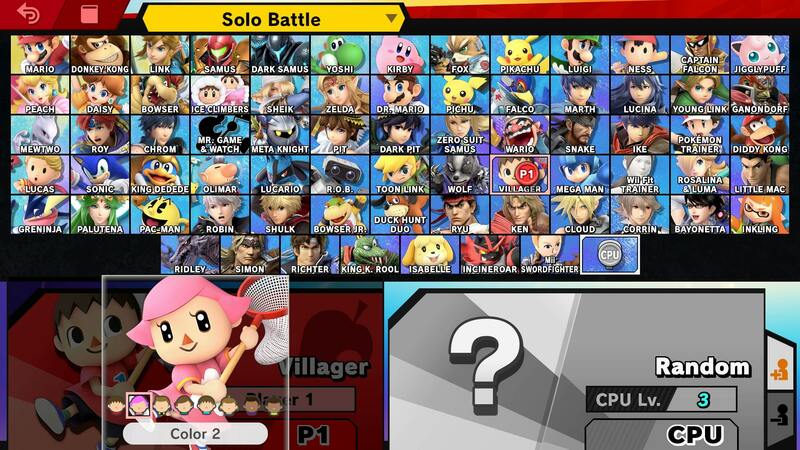 There are a number of Alternate Costumes to choose from when selecting the Villager in Super Smash Bros Ultimate. They’re a little different to other characters’ ones though, in that they are each a different Villager. The main difference here is that there are now two Villagers with darker skin. We’ll be adding in screens when we get our hands on the game. 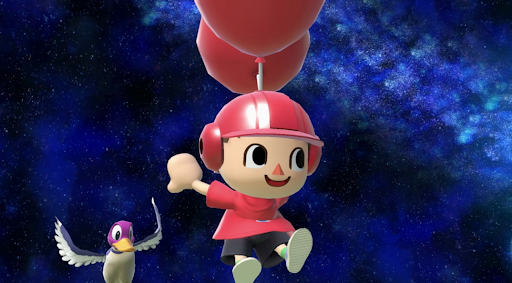 The Final Smash for Villager is the same as in his last appearance. It’s called Dream Home, and has Tom Nook, Timmy and Tommy build a house which damages nearby opponents. The main difference for Ultimate is that the house rotates as the move progresses. You can check it out in the video embedded above. That’s everything you need to know about Villager in Super Smash Bros Ultimate. For more info on the game, head over to our Super Smash Bros Ultimate Guides Hub. There’s trailers, a full character roster, a look at the Ridley amiibo, and more.